The most influential people, the ones who leave behind incredible legacies, will live on in the hearts of the people they touch. Physically, they will no longer be a part of society — but their principles, characteristics and achievements will outlive them, spreading from generation to generation. 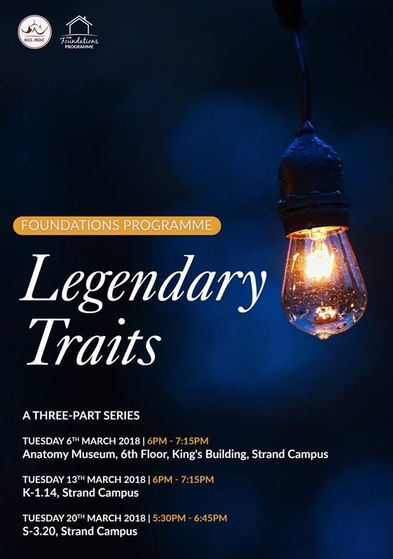 Join us for our final Foundations Programme Module where we will learn about the traits of those who have left great legacies and explore how we in the 21st century can develop such traits to leave even greater legacies with tawfeeq from Allah Azzawajal. We wish to see all of our dear brothers and sisters there! Follow our Facebook page for more.